1 Cognitions of micro-blog’s information: an experimental study of brain activities Rong Xia et al. 2 CyberPsychology Computation of online shopping behaviorsbased on EEG signal analysis Tian Wang et al. 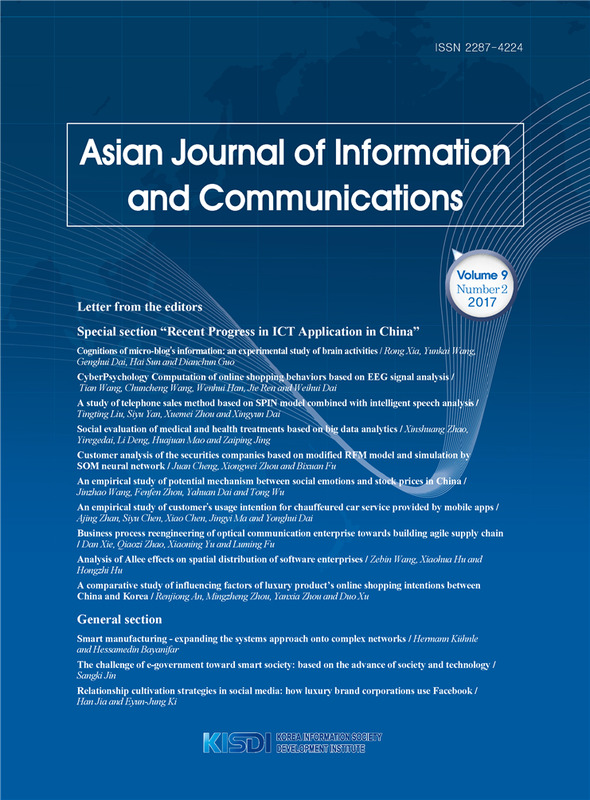 3 A study of telephone sales method based on SPIN model combined with intelligent speech analysis Tingting Liu et al. 4 Social evaluation of medical and health treatments based on big data analytics Xinshuang Zhao et al. 6 An empirical study of potential mechanism between social emotions and stock prices in China Jinzhao Wang et al. 7 An empirical study of customer’s usage intention for chauffeured car service provided by mobile apps Ajing Zhan et al. 10 A comparative study of influencing factors of luxury product’s online shopping intentions between China and Korea Renjiong An et al.